Full House...no...maybe had natural immunological reaction? A love to kill...immunological shield still holding...no fall.. Considering the facts above, I think it's ok for me to fall again so soon after getting my knee scraped, my elbows bruised and my heart ached.. when I fell hard for Jang Keun Suk in YAB ....err you could stop reading here if you think I've gone cuckoo. If you're still with me...*taking a deep breath here*.........so far I've built a strong fortress against SUJU......[yes, Fiet, you heard right..SUJU !!] thinking there's too many people to love. Despite daily SUJU influence and frequent contact with a cute little ELF by the name of joongana....who's always spreading and radiating delightful SUJU viruses all around...specially directed at me.....[unconsciously she's even made me put Heechul in my blog ! ], I'm proud to say I have held steadfast and not succumb to temptation. Err....that is .......until I watched Oh My Lady !!!! 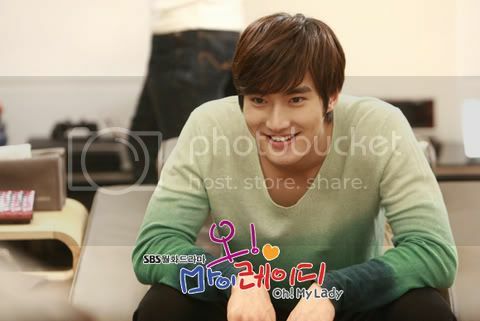 Who is Si Won looking at ?...The object of his adoration ? Kim Yoo Bin....the object of his adoration. 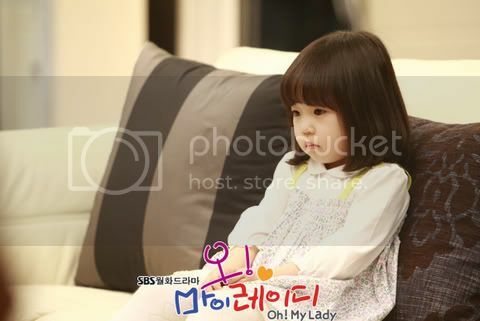 She plays as his daughter in the drama. 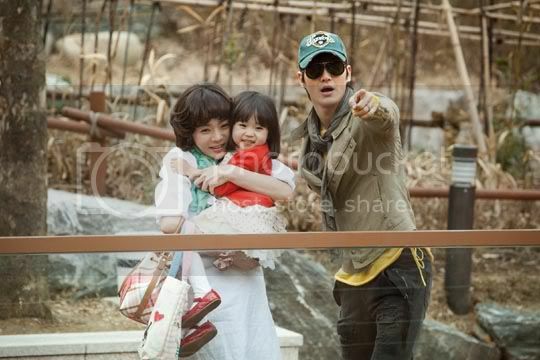 Photo credits as labeled and Dramabeans. Siwon has a handsomeness, good posture, voice also good, but the most i adore him is dia anak Tuhan yang taat, ahh i have so many words to tell you onnie, but i know not here hehehehe . 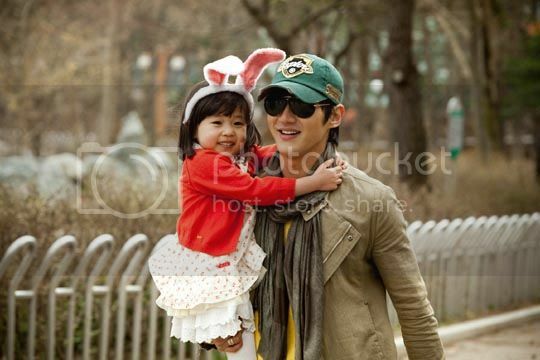 . .
wuakakakak~~ why you suddenly put Angel Haru on your blog unnie?? 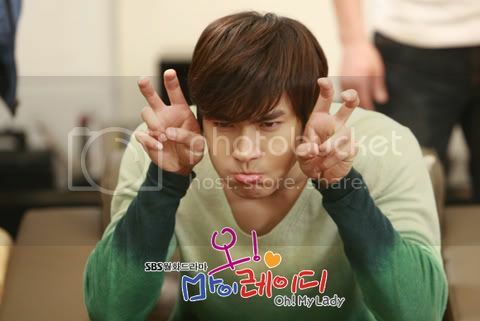 I've already been bit by the Siwon virus! Welcome! Hahaha! What I love most about him is that he's not just a handsome face. I love that he stands strong for his Christian faith in an industry flooded with very un-Christian things. 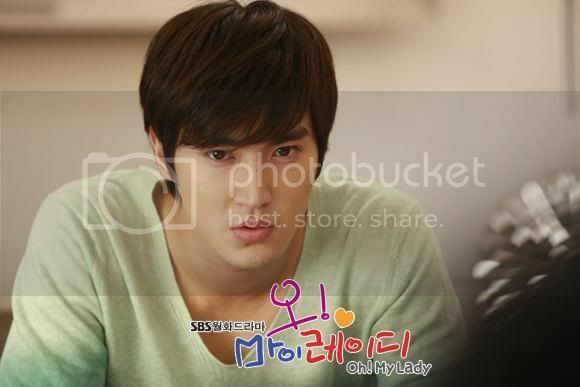 It had to be Siwon who won me over! Really agree 100% on your opinion about admiring stars....everyone has the same right to admire any star they like and....no one can limit the number of celebs we may love. Now I know you and joongana are EVIL,ok....me too...I'm going to spread the delightful "Siwon of Suju" virus from here hehehe..
You were bitten too ?? Ok...I think we have almost the same weaknesses ! !